To find true happiness you need to get clear about your desired outcome. 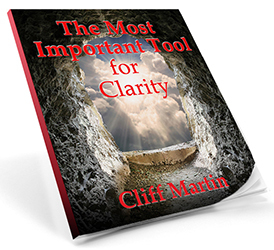 Sign up for your FREE e-book and MP3 The Most Important Tool for Clarity plus receive free content delivered automatically each time we publish. Cliff is a systems engineer with experience starting companies in medical and technical fields. He is an author, experienced martial artist and fascinated with systems thinking in history. 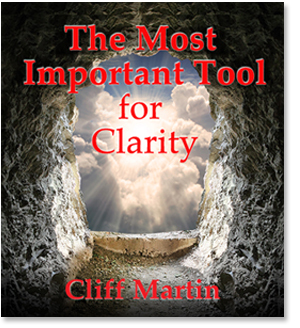 His experience has made him an expert in the art of clarity. Can you see the life you want, but never seem to get it? To live the life you truly desire you need to get clear about what you really want. Sign up below and receive your FREE ebook and MP3 The Most Important Tool for Clarity to help you get started on the path to a remarkable life.